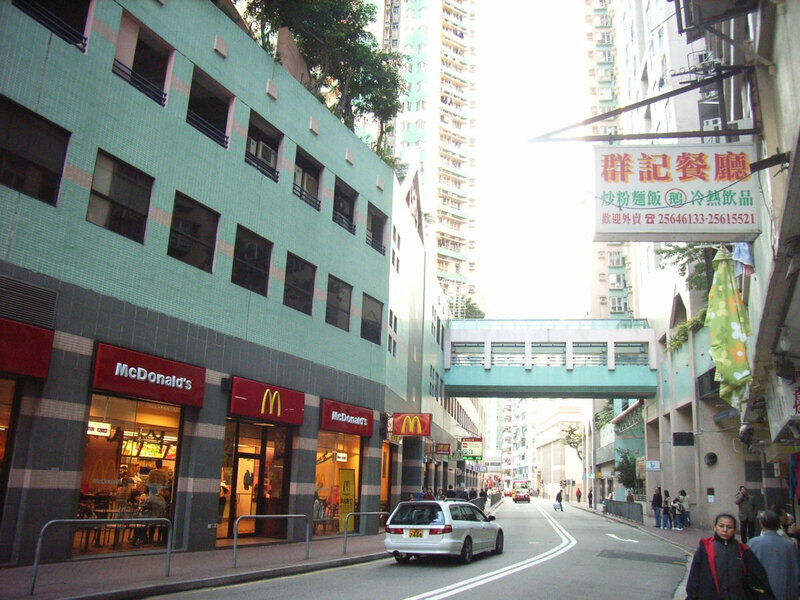 Among Hong Kong districts, the more related to Shanghai is undoubteddy North Point. After the 1937 Japanese invasion of China and during the solitary island episode, this part of Victoria city became the haven for thousands of wealthy and middle class Shanghainese emigrants. 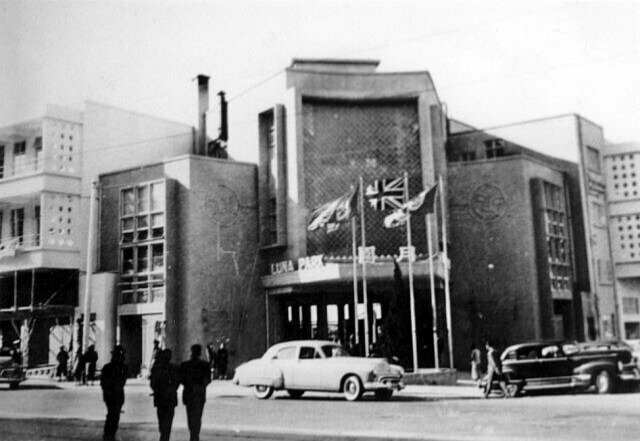 They recreated an entertainment industry comparable to their hometown including restaurants and dance halls, looking pretty much like today’s Wanchai. 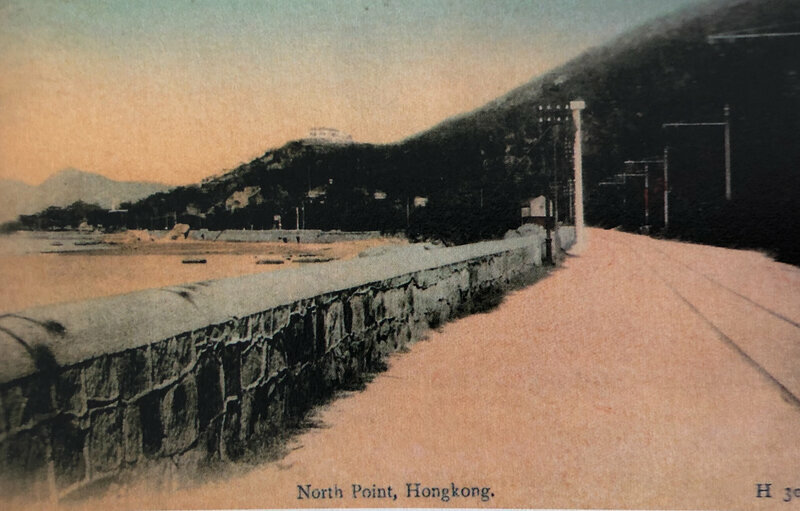 For this reason, North Point was nicknamed “Little Shanghai”. In the 1950s and 1960s, even more Shanghainese origin Chinese would relocate in North Point to escape communist rule. A less known and earlier connection of Northpoint with Shanghai comes with the Tsat Tsz Mui Beach Bathes opening in 1929. 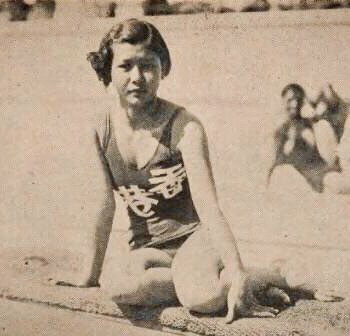 This place became famous when 15 years old “Chinese mermaid” Yang Xiuqiong, whom I have already wrote a lot about, broke four national swimming records in 1933. This Dongguan origin athlete used to train at the Beach Bathes complex in open sea. She later won three individual gold medals during the Manila Asian games. After these successes, she spent a large part of her fame years in Shanghai. As sports grew more and more interest in Chinese public, symbolizing modernity and “Jianmei” (healthy) type of beauty, champions like Yang Xiuqiong were used as national heroes by the Chiang Kai Shek regime. The Tsat Tsz Mui Beach Bathes were situated near King’s Park and could be accessed easily by tram, attracting hundreds. Tsat Tsz Mui literally means sevens sisters, a reference to deities venerated in Hong Kong. It was the name of the East part of North Point on early maps of the island. The place remained popular for bathing up to 1950s. Hong Kong Corinthian Yacht Club, dating 1906, was also located on the West side of North Point and remained active there till 1920 organizing sailing races. On the East part of the small peninsula, Taikoo Shipyards were built in 1881 by the Swire family, a dynasty of tycoons who set the basis of today’s financial empire including Cathay Pacific and Coca Cola Asia. Telling the history of Hong Kong always involves land reclamations. Whereas 1880s reclamations merely filled the existing bays, later programs created new polders by connecting warfs together. The Tsat Tsz Mui Beach Bathes were no exception when in 1950, they were deprived from open sea access. Today, only the name of a street still gives a clue about the former seashore line (compare the two photos above and nearby). During Japanese occupation, North Point was the sadly site of a prisoners camp, mainly the Royal West Brigade and Canadian privates who defended Wong Nai Chung Gap and Jardine’s Lookout. Today, no trace remains of this iIl-memory camp at King’s Road Playground. A few years before, when Japan invaded mainland China in 1937, many Shanghai Chinese had started to resettle in North Point. The most durable legacy of this community is the rather unusual one of the barber shops business. The Shanghai barbers had indeed forged themselves a solid reputation of modernity, introducing permed hairstyle. As Shanghai in the 1930s and 1940s was the playground for movie stars, influenced by the exemple of Hollywood, trendy Shanghainese ladies (modeng nü) adopted some of the western most sophisticated haircuts. The use of electric rolls to curl the Chinese straight hair as well as short haircuts became Shanghai trademarks. 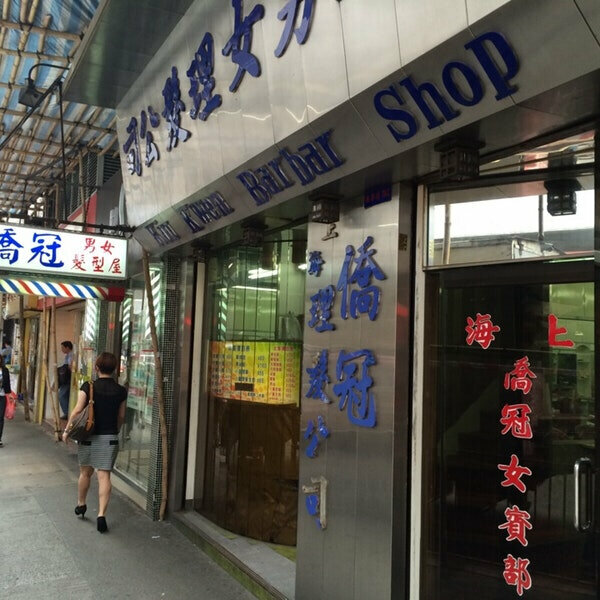 North Point Shanghainese style barber shops would also provide massage services, shavings and give magazines to read to their patrons. This brand new type of barbers were actually thousand miles away from the Chinese tradition of street hairdressers! With time passing and access to the American press, North Point’s barbers adapted to the international fashion. Pompadour style, Omega, Top Flat or Butch were part of the long list of available haircuts. Until the 1970s, nothing could beat a North Point barber for the wealthy patrons, sometimes driving from the Peak or Repulse Bay. 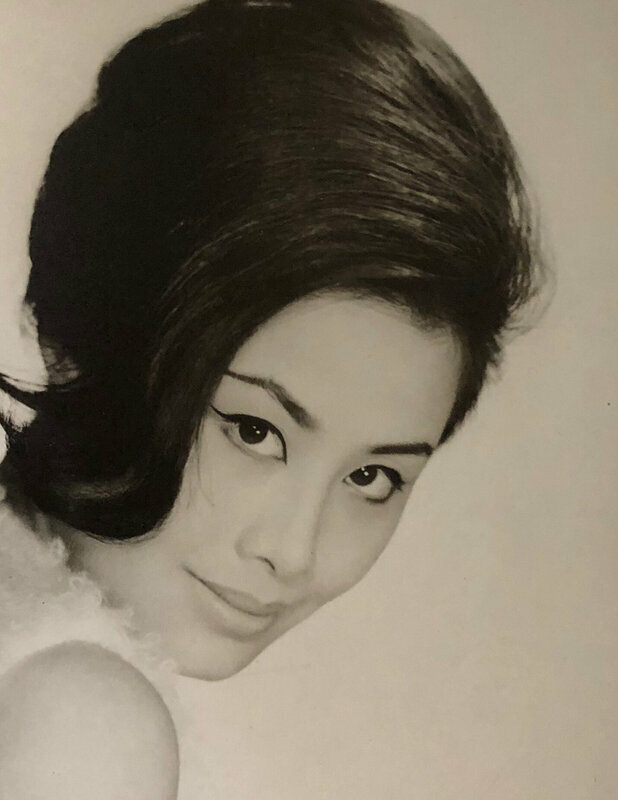 During the Hong Kong cinema boom, their fame culminated, young starlets waiting on the client list. This is only recently that they have become associated with old times, unable to adapt the Hong Kong fast pace of this end of century. When crossing Northpoint today, not much of this heritage can be seen. No free style swimming anymore nore movie stars sitting in barber shops armchairs. I was surprised, however, to meet a group of hikers along one of Hong Kong mountain trails. When he realized I was coming from Shanghai, one of them suddenly turned to Mandarin to explain me that his whole family came from Shanghai to North Point. He proposed to share the same bus back to the city center, obviously happy to talk about his grandmother who had to thrive her way into Hong Kong. Cantonese was a challenge to her, he said, but she passed over the good memories of her teenage age in Shanghai to her children. I guess there are more souvenirs to share with North Point old generations. Like most places in Hong Kong, culture is conveyed by personal stories more than architecture. One reason to stick to learning cantonese! This is a delightful article! It didn't take you long to become the most up-and-coming modern historian of Hong Kong!